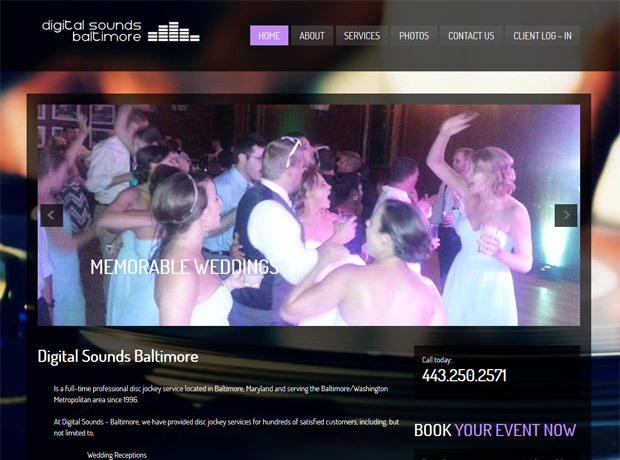 Digital Sounds Baltimore in Baltimore Maryland is your affordable music service for any event in Baltimore , Towson and Annapolis. Whether it’s a backyard birthday party or your gala wedding, count on Digital Sounds Baltimore for memories that will last a lifetime. You select the mood of your party: high energy, subtle elegance or somewhere in between. You also have the option to have party props and a dazzling light show if you choose.